Tip: Don’t forget the prep work! Hi, Sewists. It is Tuesday again and after the long holiday weekend, we are all very ready to settle into our sewing stations and finish up those last minute Christmas sewing projects. 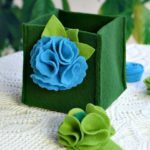 I don’t know about you, but the editors of AllFreeSewing.com are turning into little sewing elves! We put off sewing those gifts for way too long and now we have to figure out how to sew as fast as we can! So, in the spirit of this last-minute creating, we have a really quick Sewing Tips and Tricks Tuesday for you! #TGITT, right? Today I’m equipped with more of a reminder than a tip! This week’s Sewing Tips and Tricks Tuesday is: Don’t forget the prep work! Making sure you are ready to sew is so important! I cannot tell you how many times I forgot to check my needle or how much thread I had left in my bobbin only to have my project come to a screaming, disastrous halt that I could have 100% prevented with some smart prep work! Think about it like this- before you go on a long road trip, you pack up, you arm yourself with a plan, and you make sure your car is in working order. Before you take a sewing trip, do the same with your space! 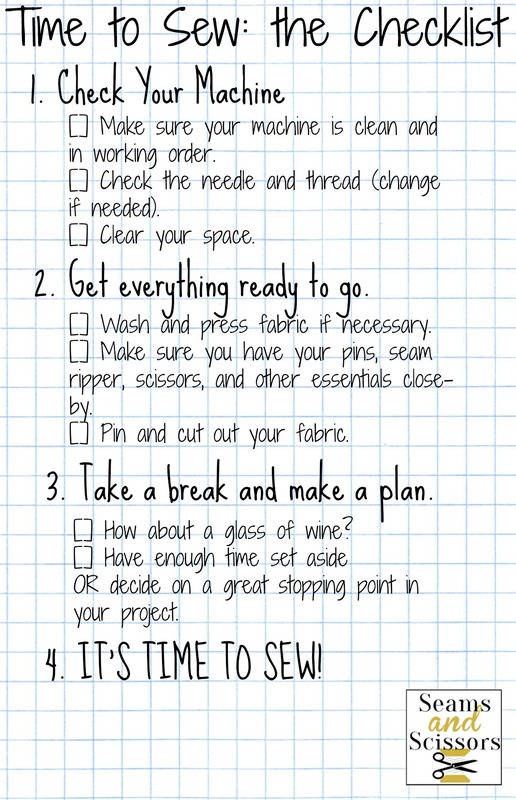 To make this easier, I have made this before you sew checklist for you to use. Forgetful? Print a handful of these free sewing printables out and keep them in your sewing room or hang one up in your sewing space! Ready to sew? 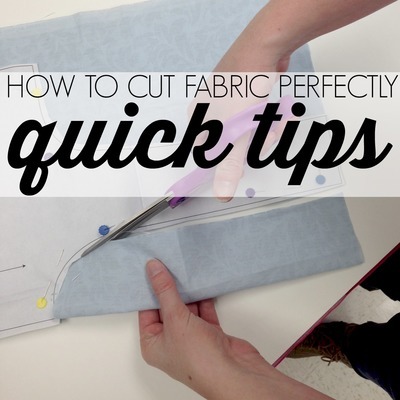 Check out Quick Tips: How to Cut Fabric Perfectly. Learn how to cut fabric to perfection and never make a mistake with this great tutorial. 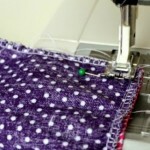 Have a Sewing Tip or Trick You Would Like to Share? Tell us about your greatest thread disaster. I have just started sewing. I did some sewing back in high school when I took home Meck, yes I’m that old. Anyway, my sister-in-law bought me a brand new Brother combination and sewing machine. Well, I couldn’t wait to get started. Not happening! Everything was so dofferent. Now, I have a kazillion stitches I don’t know what t do with and pressed feet galore. So yes, I need some updating. Thank you for the oppotunity. I can’t way! Thread disaster? Well, I forgot to check the bobbin regularly when I was sewing a very long series of seams. I probably stitched 6 yards before I noticed there were no stitches on the fabric because the bobbin had run out-or was it broken? I don’t remember. I just remember the headache of re-matching all that fabric to get the pieces lined up again when I had the thread wound on. Boy, did I feel STUPID! Nobody told me I should have had extra bobbins wound in whatever color I was using the most often so I didn’t have to stop and fill them in the midst of a project. That’s a good tip. My worst thread disaster was leaving my bobbin box where my 4-year old granddaughter found it! You can imagine how it looked! I tried very briefly to untangle the mess but quickly decided to “cut my losses” I have a picture, but I don’t know how to insert it.